On Thursday, the kiddos can skate for free in British Columbia as the Abbotsford and Coquitlam Optimist Clubs sponsor Annual Free Skating events. 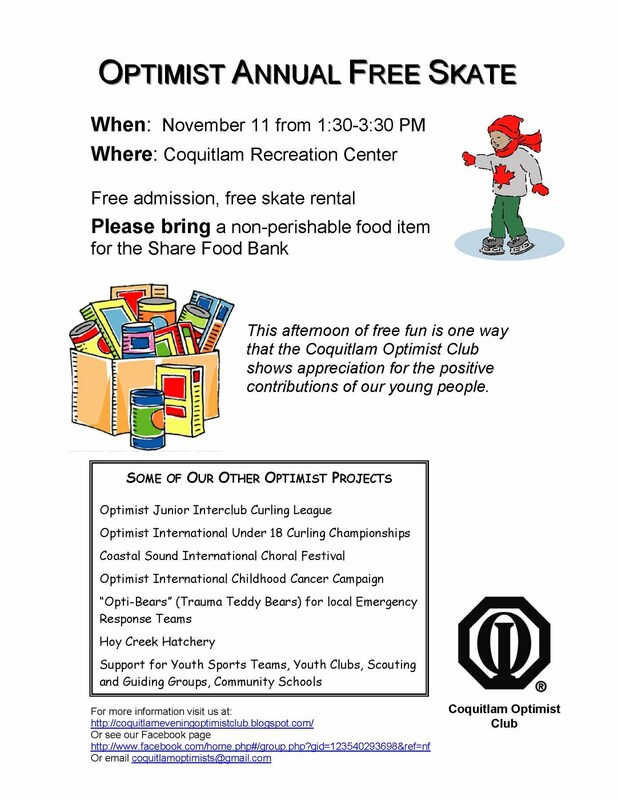 Abbotsford youth will skate at the Abbotsford Recreation Centre, 2499 McMillan Road from 12:30 to 2:30 p.m. and Coquitlam youth will skate at the Coquitlam Recreation Center, 633 Poirier Road from 1:30 to 3:30. Skating and skate rental are free. 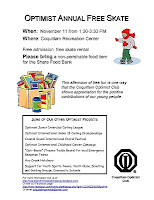 Both clubs ask that participants bring a non-perishable food donation for the community food banks.